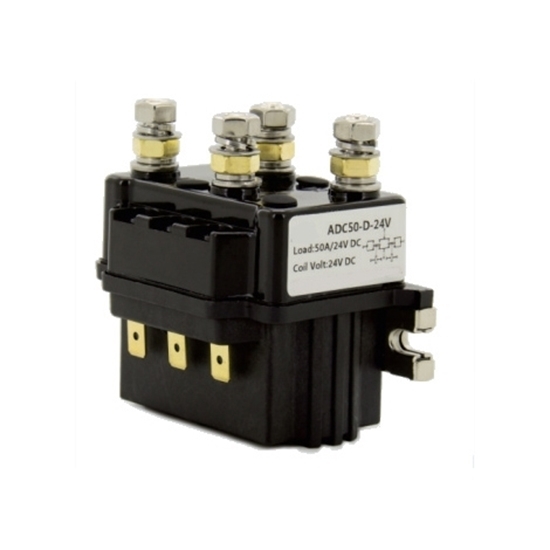 ATO ADC50 reversing contactor with 2NO and 2NC contact type, coil voltage available in 12 volt, 24 volt, 48 volt. 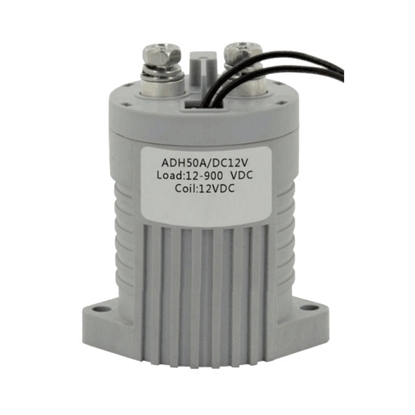 It is used to change the direction of rotation in alternating current motors, start them gently and to monitor their load. Widely used in auto electric winch, telecommunication equiment, engineering machinery and other electric control system. Tips: Short circuit of the contactor, how to solve? The contactor works in the environment of damp, dust, steam, or corrosive gases. The arc chute damages or falls, load short leads to the contact short of the contactor. 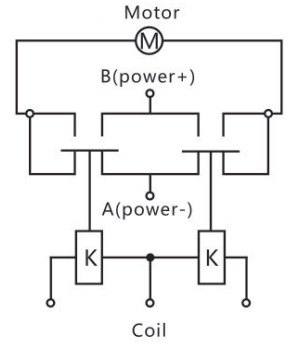 Incorrect operation of the positive and reverse contactor, as well as unreliable interlocking, make two contactors to pull in at a same time when reversing. Improve the working environment and keep clean. Match an arc-extinguishing equipment again. Handle the load short failure. 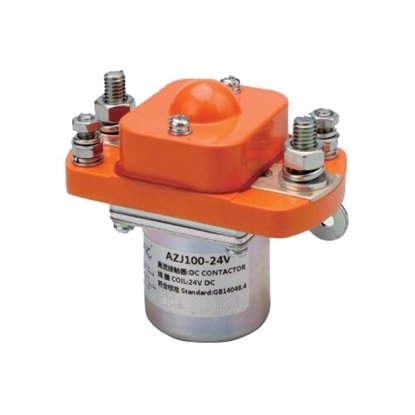 Recheck the contactor's interlocking circuit, change the operation mode. 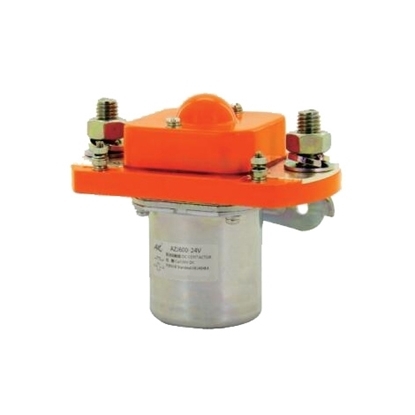 This 50A contactor is a good reversing contactor, I bought to replace of my original Polaris winch part, easy to install, so far it is working great. 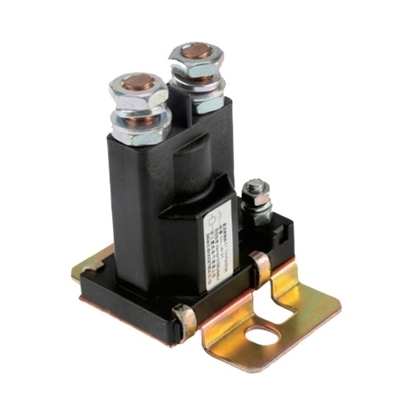 Great little reversing DC contactor works exactly as represented and is an excellent value for the price! Product was delivered on time and was very well packed.